So far I’m loving the Gotham Steel frying pans! Eggs do slide right off. Cheese too. And a thick red pasta sauce. So easy to clean and they look good too. I haven’t tried them in the oven yet but expect they’ll work as advertised there too. Wish I’d bought a second silicone handle sleeve though. The pans were a great purchase. I’ll likely get some other Gotham Steel items in the future. This is the best frying pan I have ever used, No Oils, No Sticking, even cooking and easy cleaning. I just love my Gotham Steel Pan. Great price, Delivery was fast. 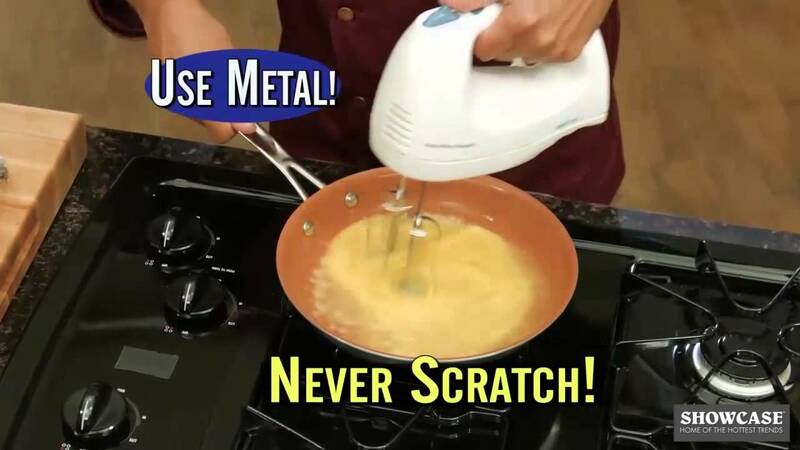 Perfect for eggs in the morning. Slides right off of the pan onto the plate.